Launched way back in 1997, 888 is one oldest online casinos around and one of the most recognisable brands too. But does their casino live up to their massive reputation? We’ll find out below. 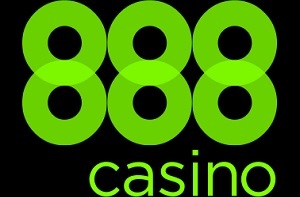 888 Casino is licensed by the UK Gambling Commission and the Gibraltar Betting and Gaming Association, and offers 24/7 customer support via phone, e-mail and social media. Oh man. Isn’t this the most beautiful casino around? To be honest, I don’t know why I’m asking you because for one you might not have even been on it yet, and two you sure as hell won’t be able to respond. But I’ll answer it for you: it is, well at least one of the best. I mean, it’s just gorgeous. So sleek and lovely, and so proper. 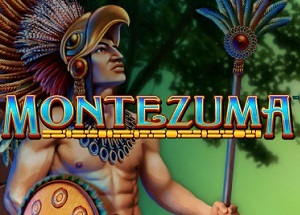 So many online casinos these days look unprofessional, dated and cheap. But this looks anything but with a smart black background and a green trim which goes together wonderfully. It really is a piece of art, while the navigational structure is magnificent too with all the game categories consistency accessible from that left-hand-side nav. A job very well done, this. 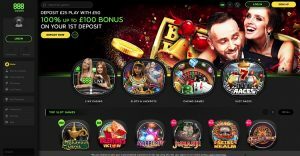 888 Casino offer the most popular payment methods out there including Visa, Mastercard, PayPal, Skrill, Neteller, and bank transfer. 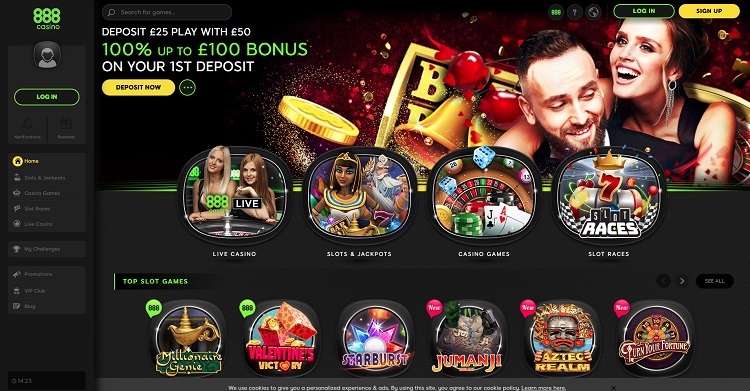 The minimum deposit is £20 and the minimum withdrawal is £15. There is no maximum deposit limit and the maximum withdrawal is £30,000. 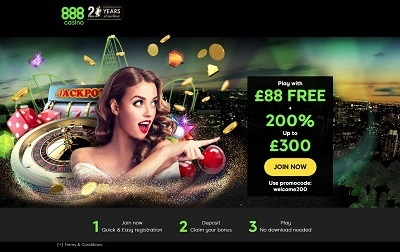 Well, to be honest, I’m quite surprised about this because 888 Casino only actually offer just over 100 games – being a big brand I’d expect them to house looooooooads. But nope, not here. Not today (well, not ever actually). 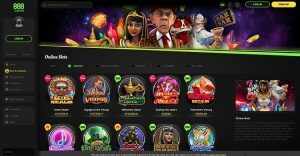 But the quality is good, though, with a host of NetEnt slot games including the likes of Starburst and Jumanji, about a dozen progressive slots, all the traditional table classics, and live dealer for blackjack, roulette, baccarat, poker, and Dream Catcher too. So not all bad. Top stuff, this. Top, top stuff. And would you expect anything else from a big name like 888 Casino? Actually, yes, you would, because, without naming names *cough* Coral *cough*, a lot of big names just haven’t adapted to the modern world either through complacency or antiquated business models. But this is anything but. 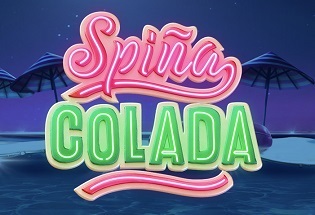 Offering arguably the internet’s most beautiful casino, a 24/7 customer support team, a great navigational structure, and a magnificent welcome bonus, 888 have created something truly extraordinary here, and I don’t say that lightly. Sure maybe the games could be more abundant, but the games that they do have are quality. And that’s what 888 Casino is in general: quality.